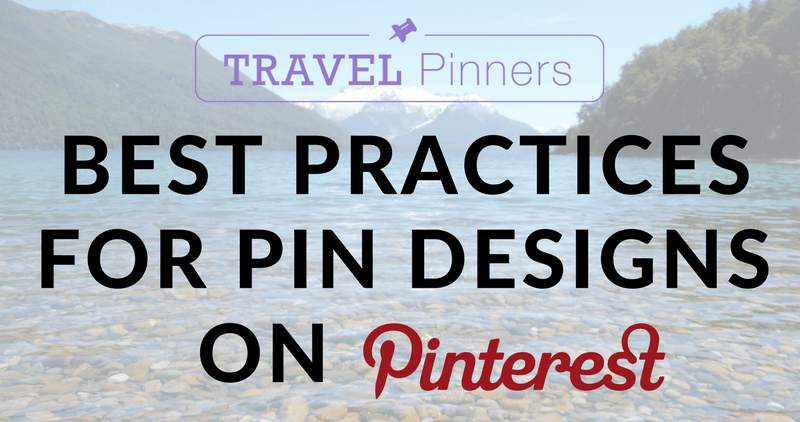 A crucial component of an effective Pinterest marketing strategy is designing pins that promote your travel content and capture a user’s attention. Let’s look at the ins-and-outs of pin design; I’ll show you just what you need to pull your target audience in — no graphic design skills required! I personally prefer to use the custom dimensions tool for designing pins. The general rule of thumb for dimensions is 735 x 1100 pixels, with the absolute minimum size recommended by Pinterest being 600 x 900 pixels. A good majority of Pinterest users are viewing their feeds from mobile devices with smaller displays. However, when someone opens up a pin, the image enlarges and should be clear and high quality. To achieve even stronger pins, read my blog on how to get Rich Pins for your Pinterest account. Text displayed over pin images should include big letters, easy to read fonts (sans serif type fonts are best), and should stand out by contrasting with the image or background. Most people scan through their feeds quickly, so you want your text to be easily processed and eye-catching. Pinterest is a place where people want to plan for their own future and get inspiration for their activities and future travel plans. They want to see themselves in the pin, which is more difficult to visualize when you see someone else’s face engaging in said activities. So, avoid using faces in your pin images. Instead, opt for back-of-the-head images or crop photos to show the neck down (especially in clothing or style pins). 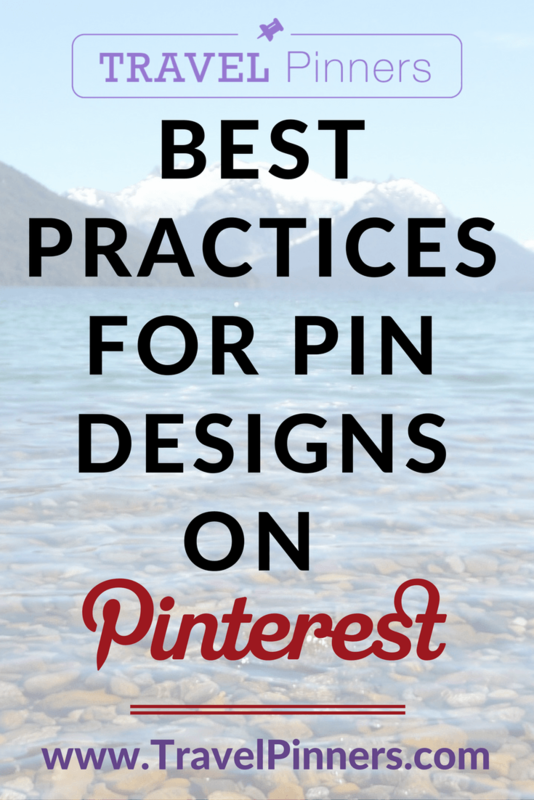 When it comes to designing your own pins, see what inspires you on Pinterest. The options are endless. Using these tips and a little inspo, you are bound to find the design style that fits your travel brand’s unique message.